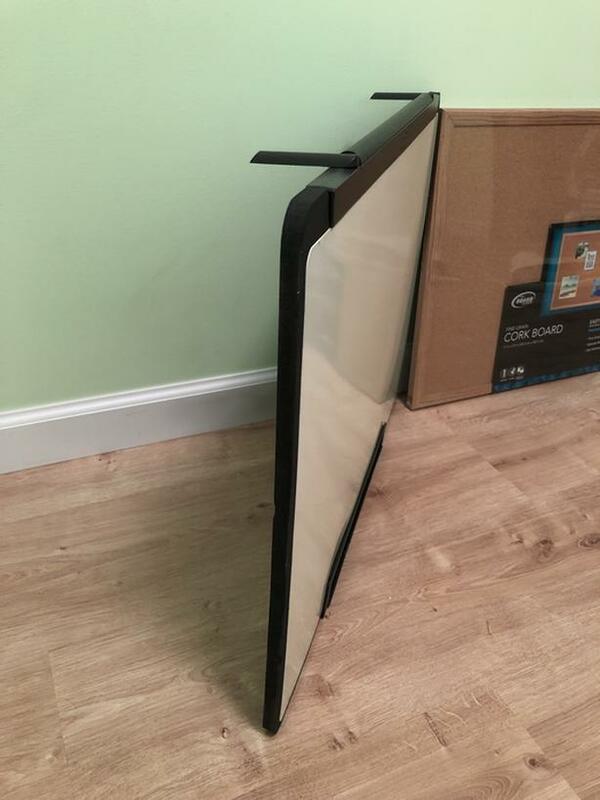 Wood Style Framed Cork Board: brand new, still sealed in shrink wrap. 17”h x 23”w. Mounting hardware included. Can be mounted horizontally or vertically. 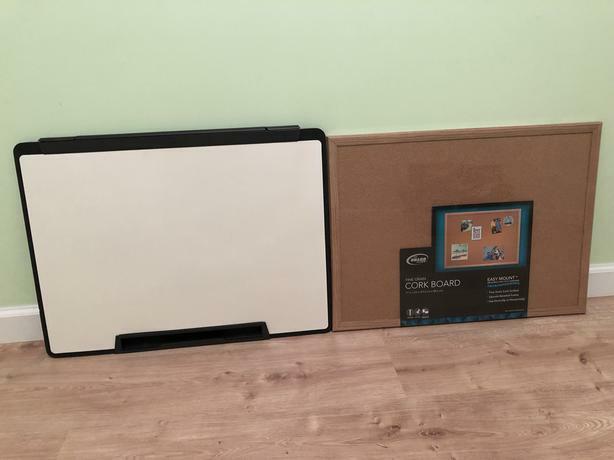 Quartet White Board: used, in good condition. 18”h x 24”w. Soft, foam backing. Not mountable, meant for an easel or can be hung over something (i.e. a door) via 2 pivoting clips on top frame. No long holds, cash only.